Communicating with family and friends overseas has never been easier. Not only is it easier, but it’s free. 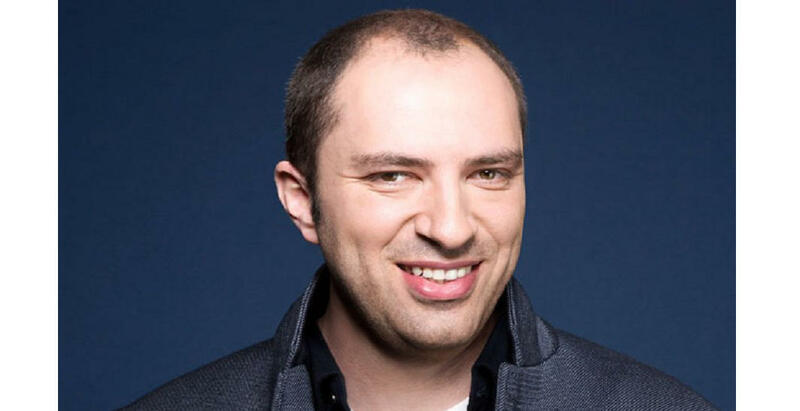 WhatsApp, which was created by Jan Koum and Brian Acton, was the result of recreating a product that could actually solve a problem. Now in its 8th year, WhatsApp boasts 1.2 billion users a month with 50 billion messages being exchanged daily. MillionaireMatch got the scoop on how Koum redesigned WhatsApp to become a favorite tool for mobile users to connect domestically and internationally. Koum, an immigrant from the Ukraine, moved to Silicon Valley with his mom when he was 16 years old. He later enrolled in San Jose State University, but didn’t complete his studies. Instead, he took a job at Yahoo where he worked for nine years, and where he met his co-founder. After a little hiatus, they both applied for jobs at Facebook and got rejected. But in 2014, Facebook bought WhatsApp for $19 billion. Not a bad deal. The beginning stages weren’t so glorious or profitable. When Koum first rolled out WhatsApp, it was just a cool idea that he had in his head. “When we launched it and it didn’t take off, I was like why? Turns out people didn’t really need it. We didn’t build a product that ultimately solved a problem for people,” he explained. People began to write in suggestions on how to improve the app. After listening to so many, Koum decided they had nothing to lose. “We built a system that didn’t require usernames, logins or passwords. We wanted to make it really simple,” he said. Additional changes to the software allowed people to communicate across different countries for free, when at a time it was expensive using regular text messaging. Koum was one of the lucky ones when it came to getting funding. He and his partner were actually approached by Sequoia Capital, and as a result received $8 million in funding. “We weren’t focused on raising funds. We were focused on building the product,” Koum said. He admits he didn’t even have a pitch deck. “We didn’t really have anything, and they wanted to invest in us,” he said. He did get a bit of advice from a colleague, “You want to raise money when you don’t need money, because when you need money you aren’t going to have the terms you want or leverage. It’s always good to have money in the bank. You can always do something with it,” Koum recalled. His advice to entrepreneurs,“If you really go all in, you go all in.” He had about three years where he missed out on hanging with friends and family. “Keep trying. If your original idea isn’t working, use what you’ve built to pivot into something else. Keep trying to find a solution to people’s problems,” he said. For more information, go to www.whatsapp.com.